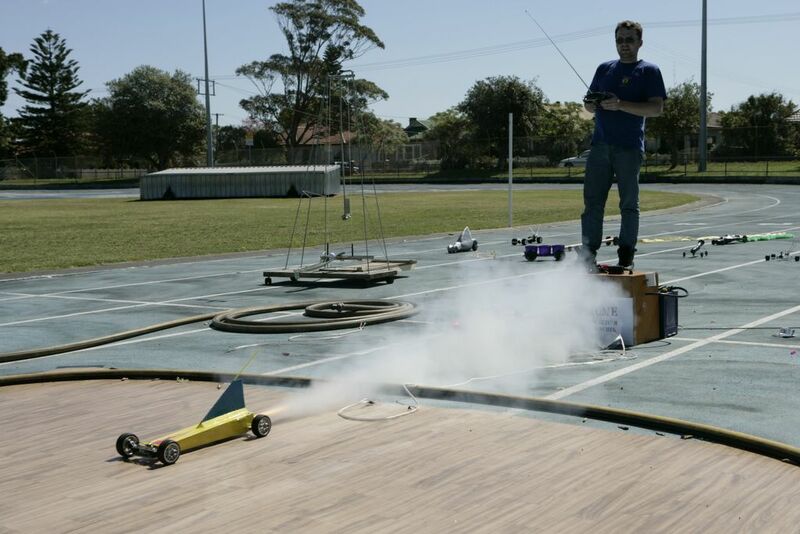 the winning car launching. This car has the ingenious addition of remote control steering to keep the highspeed vehicle on-track. So ingenious, remote control is outlawed now.